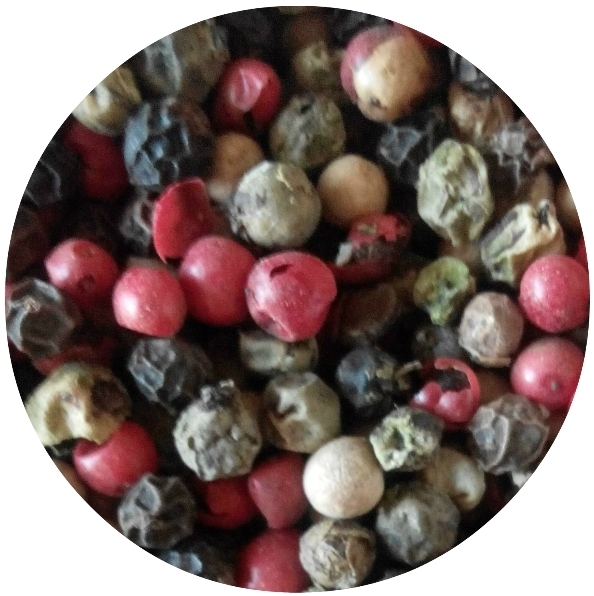 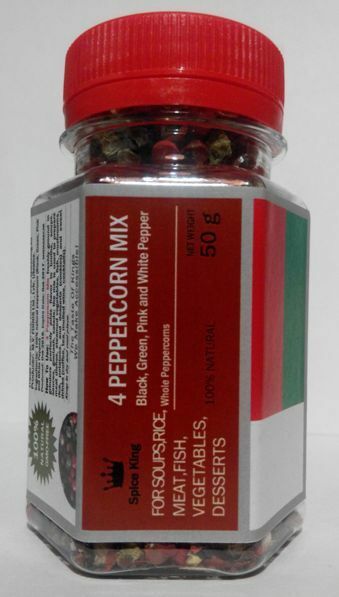 Ingredients: 100% natural peppercorn (Black, Green, Pink and White Pepper). How To Use: 4 Pepper Mix freshly-ground in grinders perfectly adds flavor to broths, soups, sauces, goulash, salads; the mix is used to prepare meat dishes, steamed vegetables, fish, mushrooms, rice, potatoes, desserts (cookies) and sweet drinks (coffee, tea, mulled wine, cocktails). 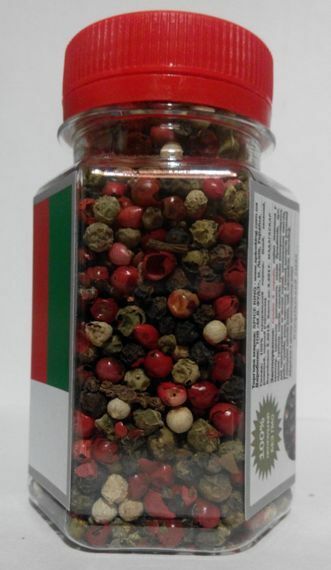 50 g net weight (100ml PET jar) - USD 2.50 (USD 50.00/kg).